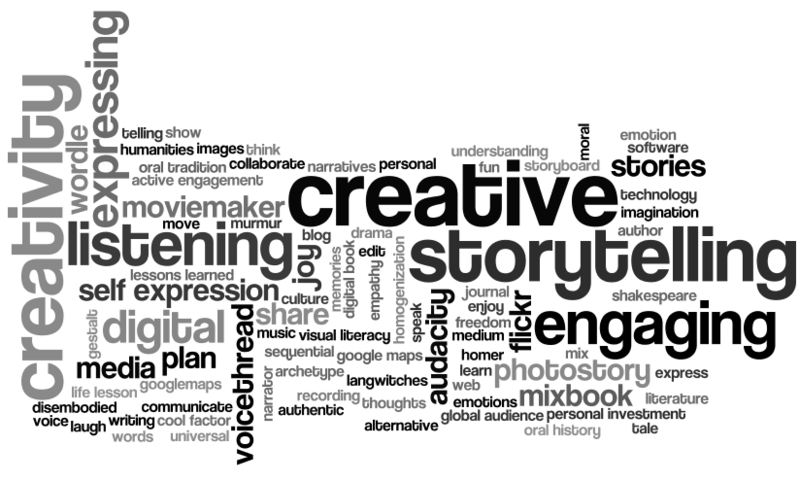 Digital storytelling is another term for a multimedia story. A multimedia story is made up of a combination of text, audio, pictures, video clips and graphics on a web site. Digital storytelling allows ordinary people to share their stories on the web. Stories can range from emotional and moving, to funny or informative. This is just another media source that allows people to express themselves in an individual manner. One of my favorite multimedia stories is about organ transplants. This multimedia story spoke to me on a personal and emotional level. I am extremely passionate about this topic and I am a very strong supporter of organ donation. I believe that anyone who can help save a life through organ donation should do so for this is one of the greatest gifts you can ever give someone. This website includes personal stories from those who received an organ transplant. To hear the effects that an organ transplant has had on the organ receivers is chilling. Medical miracles are created and those receiving the new organs gain their life back. Peoples lives are changed and influenced everyday from an organ transplant. Being able to view the organ receiver’s photograph along side their story makes the whole thing become real for the reader. The reality sets and the reader understands why organ transplants are incredible. There is also a section on this website that provides its readers with information on understanding donation as well as the transplant journey. This website is very interactive, informative, personal and easy to navigate. Now that you are inspired to create a multimedia story of your own, here is how to do so. Before going out into the field, have an idea in mind of what it is you want to portray and the story you want to tell in your short digital film. It is a good idea to plan ahead of time details such as where you want to film your digital story and what kind of images and people you want in your film, if any at all. Make a list of questions you want to ask the people you are going to interview so that the filming process can be as effective and efficient as possible. Once you have a clear vision in your mind of how you want your story to be told, it is time to grab your camera and get to work! While in the field, collect as many videos, photographs, audio clips, interviews and information as you can so that you have a wide variety of media tools to chose from to use for the final product of your story. Good luck!